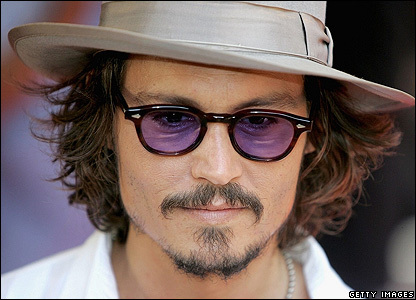 A cool-looking Johnny Depp was one of the first stars to arrive at the Pirates of the Caribbean European premiere in London on Monday night. He paused to sign autographs for some of the dedicated fans who had braved soaring temperatures. Fans were sprayed with water to keep them cool on one of the hottest days of the year. Kelly Brook was among the many celebrities who turned out for the event in Leicester Square. Keira Knightley wore a revealing Gucci dress with vintage Cartier diamonds. She said 'If you can't wear a dress on a day like today, then when can you?'. McKenzie Crook said he was thrilled at starring in the Pirates of the Caribbean trilogy. British actress Naomie Harris, who plays Tia Dalma in the Dead Man's Chest, was one of the film's many stars at the premiere. 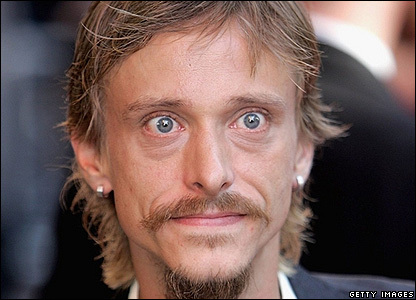 Singer Natalie Imbruglia posed on the red carpet for the scores of photographers and film crews at the premiere. 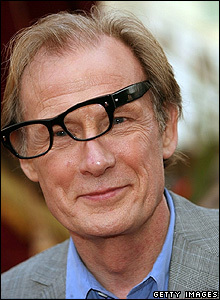 Bill Nighy said he loved playing the 'half-squid, half-crab' baddie Davy Jones.